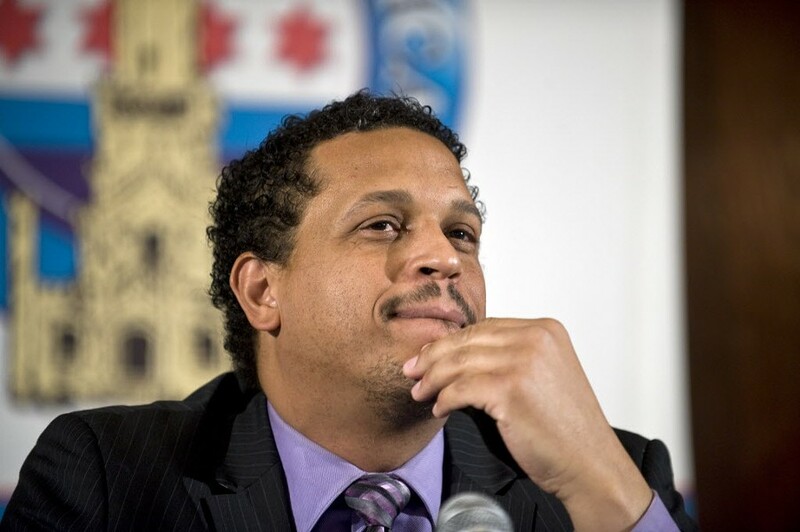 Elementary school principal Troy LaRaviere has been one of Emanuel's most vocal critics. So there I was, sitting on the couch, reading a recent issue of Catalyst magazine, when I saw something that made me hop out of my seat. For the third year in a row, Mayor Emanuel had awarded principal merit pay to Troy LaRaviere from north-side Blainee Elementary. It was LaRaviere who wrote the fiery 2013 Sun-Times op-ed that denounced the mayor for bullying principals and trying to intimidate them into becoming political yes men. Just as it was LaRaviere who dug up the research that showed that many neighborhood public schools are outscoring charters. And blasted the mayor's janitorial privatization deal for having left so many schools filthy. And went toe-to-toe with school board vice president Jesse Ruiz. And generally pissed off the mayor so much that the school board voted in August to give him a warning resolution, which means they may fire him, if he doesn't toe the line. Even though Blaine's one of the highest-scoring neighborhood schools in the city. 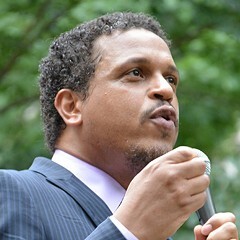 Despite LaRaviere's record of opposition to the mayor's school policies, this principal has won three $10,000 merit pay awards (totaling $30,000) for school years 2011-12, 2012-13 and 2013-14. He may have won one for last year—CPS hasn't announced them yet. That's means he's received more money in merit pay than any other principal in the city—including those from the mayor's much-adored charter schools. When I saw Rahm had given Troy so much love, I thought I owed the mayor an apology. I'd always viewed him as one of those vengeful, cutthroat types. And here it turns out he's a turn-the-other-cheek kind of guy. Next think you know he's going to give me the keys to the city. Then I called LaRaviere. And it turns out Mayor Emanuel had nothing to do with giving out that merit pay. Well, OK, yes, it's true that the idea of giving merit pay to principals is something that Mayor Emanuel came up with back in 2011. And yes it was Mayor Emanuel who raised the $5 million for the awards by passing the hat among some of his closest political allies, including Penny Pritzker, who donated $1 million, and Bruce Rauner, who donated $2 million. 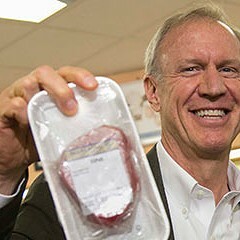 That's the same Bruce Rauner who's now our governor. The guy who drinks expensive wine with the mayor, and invites him out to the Rauner ranch in Montana, and tag teams with him on investment deals worth millions of dollars. Just in case there's still anyone out there who thinks the recent "Rahm & Rauner feud" is for real. Mayor Emanuel also got separate $1 million contributions for the principal merit pay awards from Eric Lefkofsky, Groupon's co-founder, and Paul Finnegan, from the private equity firm Madison Dearborn. Lefkofsky and Finnegan have also been among the mayor's more generous campaign contributors. You know, sometimes the conspiracy freaks may have a point. Anyway, merit pay's always been controversial among educators who worry about pitting teachers and principals against each other, like they're rival car dealers fighting for market share. Especially when the primary factor in awarding the merit pay is student scores on standardized tests. But the mayor said the merit pay program—based on which schools have achieved steady annual test gains—was an effort to reward principals for excellence and learn from the best as to how to improve our schools. "We'll have a performance contract to measure the progress," Mayor Emanuel said at the time. "No other school system in the country has that." And now it turns out that the biggest winner of the mayor's merit pay contest is his biggest critic. So the first thing I had to ask LaRaviere is whether the mayor's called to ask what lessons for success he has to offer other principals in Chicago. That got a good laugh out of him. "I'm very proud of the whole Blaine community," LaRaviere said. "You can't apply for this award. If I had to apply, we'd never get it. It's purely numbers. Now that I think about it—I'm surprised that they didn't cook the numbers." Moreover, LaRaviere was not the only badass principal to win merit pay. Elizabeth Heurtefeu also won three straight years of merit pay, totaling $15,000. She's the former LaSalle elementary principal who urged Mayor Emanuel and CEO Forrest Claypool to stop privatizing public education. 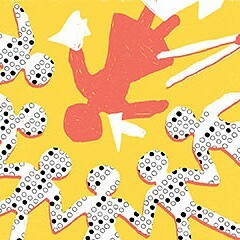 So, you see, there's no correlation between subservience and creativity. In fact, based on these results, I'd say there may be a correlation between subservience and mediocrity. Clearly, we need a study on this. Hey, MacArthur and Joyce foundations—how `bout forking over some grant money? Congratulations to LaRaviere, Heurtefeu, and the other recipients. As for all the principals out there biting your tongues in the face of the mayor's cuts, closures, and privatization deals, it looks like you have no excuse for not speaking out. Sometimes you have to tell the boss something he doesn't want to hear.